Don't try this yourself. Trust us. Have you ever noticed those vehicles with the tinted windows full of unsightly bubbles? Enough said. 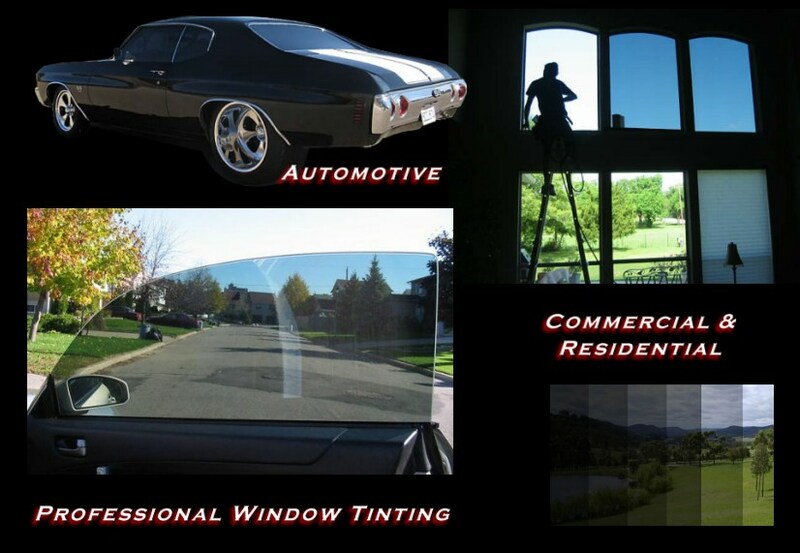 Window tinting is one of our specialties...it is one of those jobs best handled by a professional. There are several good reasons to tint your vehicles windows. Your car's interior can be 60% cooler during those hot summer days with proper tinting. Tinting reduces dangerous glare from the sun, snow, and other headlights, helping you drive safely. Tinting protects your privacy and contents within a car. What a burglar can't see, he won't steal. Harmful UV rays and heat cause car upholstery to crack and fade. Car tint is sunscreen for your car. For driver’s compartment, right and left, the maximum visible light transmittance, net, is 50%. For windows behind the driver’s compartment, the maximum Visible Light Transmittance, net, is 35%. Where film is installed behind the driver’s compartment, 2 external rear view mirrors are required. The net figures that are allowed are enforced at plus or minus 5%. For driver’s compartment, right and left, the maximum visible light transmittance, net, is 50%. The maximum visible light transmittance, net, recommended is 15%. For windows behind the driver’s compartment, there is no restriction. Where film is installed behind the driver’s compartment, 2 external rear view mirrors are required. The net figures that are allowed are enforced at plus or minus 5%. For more information on the benefits of tinting glass, click COMMERCIAL or RESIDENTIAL to visit Ener-Gard / Llumar website. We are also trained in the proper application of paint protective films. Find out more from either of our two suppliers, LLUMAR or 3M. Accent Striping and Lettering Company Limited provides window tinting for homes, offices, vehicles across Westman area. Call (204) 729 8660 for inquiries or to schedule an appointment.